Affordable housing in Wanchese! Lives bigger than actual square footage (1344 HLV) and located on a spacious homesite (13,000s/f). Huge master bedroom and nice master bath including; soaking tub, separate shower, and double vanity. Wheel Chair accessible with ramp on to front porch. Open floor plan, with gas fireplace, lots of light, large utility room off the Kitchen and side entry door. Nice location on high and dry ground. 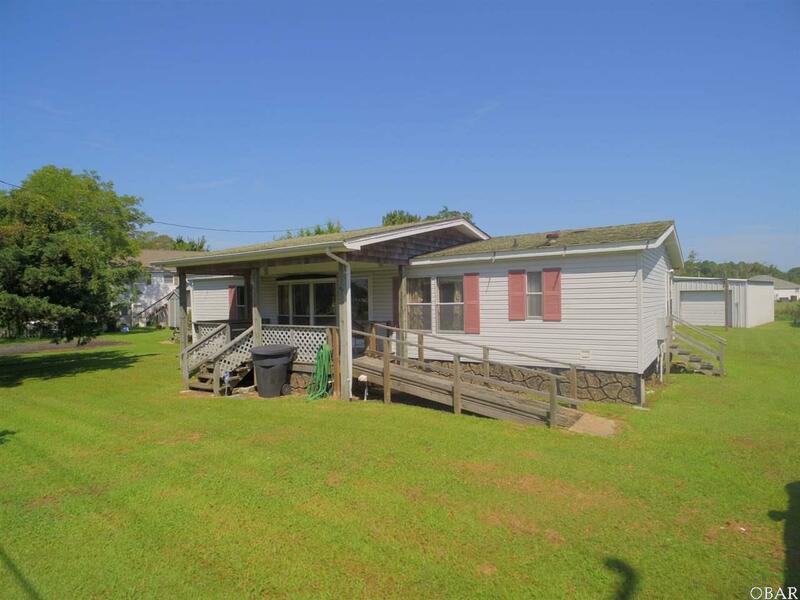 Quiet Country living in Wanchese with year round neighbors, convenient access to Wanchese attractions and quick trip to Manteo. House is vacant and ready to be shown and sold!